It's definitely a dealbreaker for some. For me, well I found this out after I bought it but DVD movie playback is not why I got this. Does explain the lack of a Bluray drive though. With all this optimus tech talk, it's dissuaded me from purchasing an m11x. 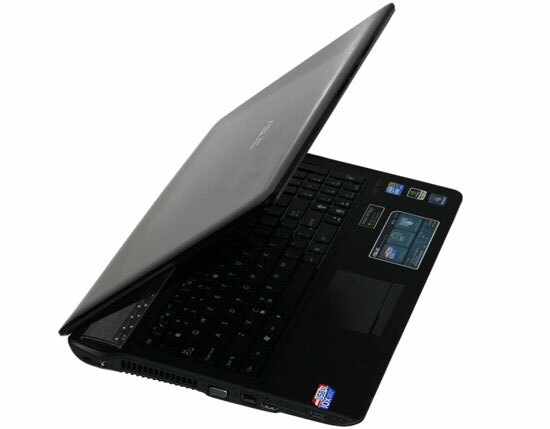 The m11x has the 335M, compared to the 325M in this laptop, and I'm wondering if anyone knows how much they differ? 16" mammoths just don't interest me. I really want something portable like the m11x, with it's fantastic battery life, but I want some options to pick between. 1) Any chance that Anandtech will be reviewing the m11x? I was surprised it was never covered beyond the CES reveal. I was originally concerned a bit about that as well but got a M11x anyways. I keep reading reviews just to make sure I didn't make a bad choice. Even this much larger system seems worse in games albeit better in CPU heavy tasks. Optimus is cool and I wish I had it but it really isn't that bad having to manually switch GPUs(just press fn+f2 on the M11x). Unless I'm plugged in I'm rarely gaming heavy stuff and I'm instead in conserve energy mode with the Intel GPU, less bright screen, etc. The CPU in the M11x is the weak point but the battery life in it is great so it depends what kind of balance you want. I don't think there is any laptop with a great CPU and great battery life in a smaller form factor. I get around 6-8 hours with decent screen brightness, wireless and just general browsing/word/light games on the Intel GPU. You can game just about any modern game but you might need to tweak settings(often specifically CPU heavy settings such as shadows) or lowering the resolution a bit but doing that doesn't bug me. it would be cool if the i5 had a mode in which you could power down 1 core and turn off turbo and underclock the active core.